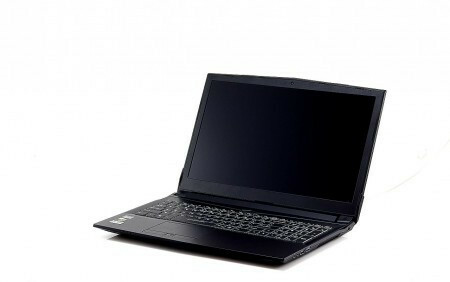 Model: The BTO Notebooks X-Book 15CL77 is a 15.6” gaming laptop. It weighs slightly heavier than a regular 15.6-incher, but this is the compromise for its performance. The chassis is made of aluminum and plastic and looks very neat. The choice of material also makes the laptop very sturdy. The notebook comes with an Intel Core i7-7700HQ processor, which is enough for performing serious tasks and proper multitasking. By default, the X-BOOK 15CL77 comes with a 128 GB M.2 SSD. 8 GB of DDR4 RAM is mounted. The RAM capacity can be expanded to 64 GB. In this new X-BOOK series, there is a pair of Onkyo speakers installed to deliver quality high, middle and low tones. Onkyo has been providing top quality audio for decades. Thus, this is a major breakthrough for BTO laptops. The X-BOOK 15CL77 comes with a Full HD IPS screen. It is a mate screen, which makes working in the sun more enjoyable and it also gets rid of annoying reflections indoors by lamps and windows. The delivered screen is an IPS screen, which has better viewing angles and a more natural color display over a standard screen. Gaming on the laptop is very nice with this keyboard, which responds quickly and accurately. The keystroke has a good feedback for a laptop and it features an RGB backlight, which can be customized by pressing the FN button + / on the number pad. The RGB backlight can be set to one color, 3 zones or one of the following settings: Breathe, Cycle, Wave, Dance, Tempo, Flash, Random, or Custom. This alone puts a strong ‘Gaming’ image to the laptop. The Control Center software included is available via FN-Button + ESC and is very comprehensive, a user can adjust the performance, brightness, volume, fan speed. A user can also choose to switch the video card, so the notebook runs on the Nvidia GTX1060 graphics card. The user can also use G-Sync, which is very useful when playing games. Stuttering and tearing become the past with G-Sync. This configuration gives gamers a proper gaming experience even at Full HD resolution. On the left side of the housing, there are two mini DisplayPorts, an HDMI port, and a USB 3.1 Gen 1 port. At the rear, there are another USB Type A port and the power-in. On the right side there are two USB Type C ports, 1 USB Type A port, card reader and GigaBit Ethernet port. The audio card is also on this side and has no more than one line out, one microphone, and a SPDIF jack. The BTO Notebooks X-Book 15CL77 is a well-equipped gaming laptop for its price. However, with the amount of gaming dedicated laptops out there, it is uncertain if the X-Book is relevant without any special features unique to it. BTO Notebooks: This regional manufacturer focusses the Netherlands and Belgium. The market share is low.